With this information an ECS nitrogen generator can be selected. 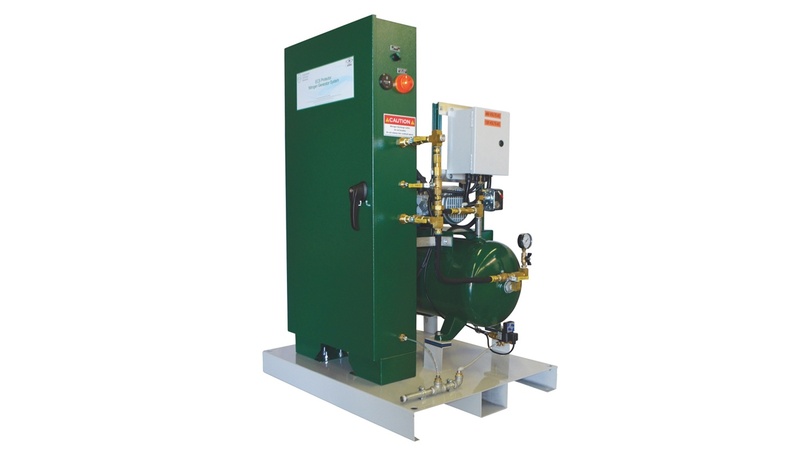 Small to medium projects can generally be supplied with a pre-engineered nitrogen generator that includes an integral air compressor (PGEN-5/10/20). 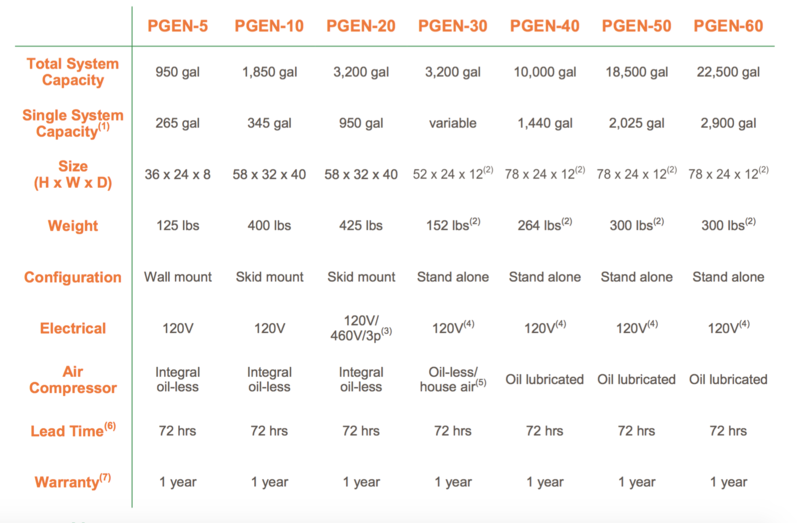 Projects with a larger cumulative sprinkler system capacity should be supplied with an engineered stand-alone nitrogen generator paired with a separate air compressor (PGEN-30/40/50/60). The PAV-D is a mechanical device that is closed manually once the system nitrogen concentration has been verified at 98% or greater and represents the most economical approach to oxygen removal. The PSV-D includes an electronic sole- noid valve that closes automatically once the desired nitrogen concentration has been reached and is preferred in applica- tions that value automation or minimal human intervention.